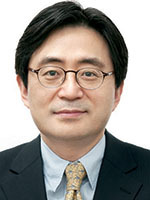 Dong-ik Shin is President of the Institute of Foreign Affairs and National Security (IFANS) of the Ministry of Foreign Affairs of the Republic of Korea, having previously served as Deputy Foreign Minister. From the traumatic experience of two World Wars, European countries learned the lesson that military conflicts could cost millions of lives. Lest they repeat such mistakes, the leaders and peoples of Europe have pursued political reconciliation and economic interdependence, whilst institutionalizing regional cooperation. Such efforts eventually resulted in the establishment of the European Union, which has been touted as the global epitome of regional cooperation and integration. Despite current security threats, such as a series of terrorist attacks and the Ukraine crisis, European countries are standing together to overcome these challenges. Turning eastward, tensions in the security environment still linger in East Asia. Among the various sources of disagreement, two issues have particularly undermined contemporary regional stability: North Korea’s nuclear development and maritime disputes in the South China Sea. 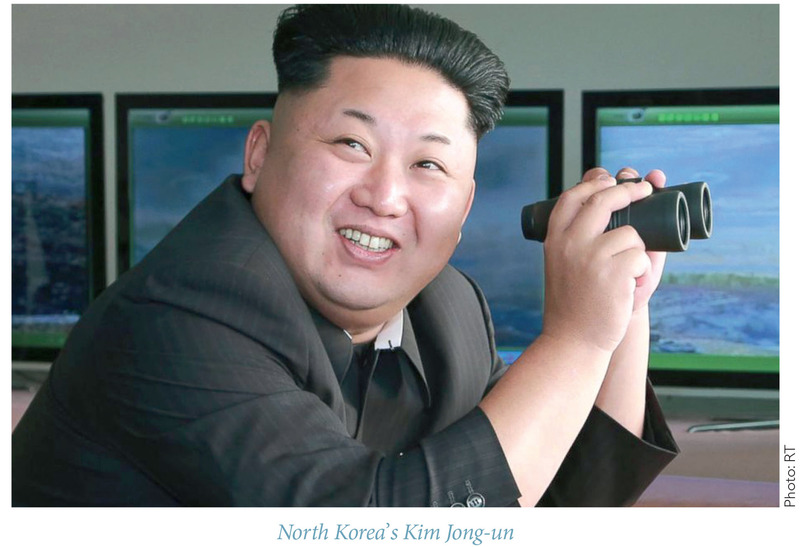 North Korea’s recent nuclear tests and the Chinese government’s rejection of the verdict of the Permanent Court of Arbitration (PCA) have reminded East Asians of the vulnerable security conditions in their region. Many observers, cognizant of this unique situation of cooperation and contention, have termed it the Asian Paradox: deepening economic interdependence and weakening security cooperation. In order to construct a peaceful regional order in East Asia, it is necessary to address the Asian Paradox. investments and cultural exchanges have burgeoned in the region. However, high economic interdependence has not pacified security relations amongst East Asian countries. Although economic growth in East Asia has dipped slightly, most of the countries in the region have announced a hike in military expenditures. As an example, China has led the trend by significantly increasing its defense budget. Asian countries’ military budget increasingly outweighs those of European countries. Unlike European countries, East Asian countries have depended largely on internal balancing or bilateral alliances as a means of guaranteeing their security, thus eschewing the establishment of strong institutional arrangements in the region. Distrust of neighboring countries and vibrant nationalism in the region, compounded by the absence of a regional mechanism for security cooperation, have resulted in the onset of security challenges among East Asian countries, escalating to a de facto arms race. Among the many security issues in the region, North Korea’s dangerous steps toward possessing nuclear weapons and the recent dynamics in the South China Sea loom large. The two issues not only represent crucial destabilizing factors for the whole region, but could also engender a U.S.-China rivalry with potentially global ramifications. The United States expects China to play a more assertive role in sanctioning North Korea, and also wants it to restrain its own behavior in the context of the disputes in the South China Sea. On the other hand, China argues that it has kept pace with the sanctions against North Korea, and that the PCA’s recent verdict in favor of the Philippine position is not consistent with both historical facts and the general norms of international law. Such a contradictory stance on core security issues deepens the distrust between the two major powers. The Republic of Korea (South Korea), as a peace-loving middle power living under the imminent nuclear threat posed by North Korea, has consistently pursued the denuclearization of North Korea and has hoped for peaceful resolution of the region’s disputes. Despite South Korean efforts to achieve these goals, the recent security dynamics in the region remain extremely challenging. Many security experts are concerned about a scenario in which North Korea succeeds in miniaturizing nuclear weapons and attains the capability to attack the United States or Europe with its long-range missiles. In that case, North Korea could use its nuclear weapons as negative leverage, which would rob the United States of the luxury to exercise strategic patience. Even though the improved nuclear capability of the Kim Jong-un regime exhibited in recent tests has shocked the international community, it is not new: North Korea’s nuclear ambitions go back to the late 1980s. In 1989, an intelligence satellite run by the United States captured an image of North Korea’s nuclear facility in Yongbyon. Refusing inspections by the International Atomic Energy Agency (IAEA), North Korea unilaterally withdrew from the Non-Proliferation Treaty (NPT) on March 12th, 1993. To punish North Korea’s provocative actions and deter nuclear proliferation, the administration of U.S. President Bill Clinton planned a surgical strike against the nuclear facility in 1994, which marked the peak of the first nuclear crisis on the Korean Peninsula. Faced with strong pressure from the international community—including the United States and South Korea—North Korea signed the Agreed Framework in Geneva on October 21st, 1994. The Framework required North Korea to freeze and eventually dismantle its nuclear program in exchange for two light-water reactors and fuel oils. While the agreement did temporarily suspend North Korea’s nuclear program, it failed to denuclearize the Korean Peninsula permanently. Most of the relevant projects to implement the agreement came to a halt in 2002, after North Korea admitted to its clandestine Highly Enriched Uranium (HEU) program. In order to solve the second nuclear crisis over North Korea’s HEU program, all relevant stakeholders—South Korea, the United States, North Korea, Japan, China, and Russia—launched the Six-Party Talks in August 2003. Following the fourth round of these talks, the six parties agreed in the September 19th, 2005 Joint Statement, which provided a step-by-step roadmap leading to a verifiable resolution of North Korean nuclear issues on a reciprocal basis. Notwithstanding the Joint Statement, however, North Korea chose to test nuclear weapons for the first time in October 2006. The Six-Party Talks have been stalled since 2008, due to an important disagreement over how to verify North Korea’s declaration of its nuclear programs. After the breakdown of the Six-Party Talks, North Korea continued its provocations by conducting long-range missile launches and carrying out its second nuclear test in May 2009. In addition, North Korea attacked a South Korean Navy ship, the Chonan, in March 2010, and shelled Yeonpyeong Island in November of that same year. Subsequently, North Korea launched a long-range missile in December 2012, and conducted its third nuclear test in February 2013. In response to North Korea’s nuclear tests and long-range missile launches, the UN Security Council adopted a number of resolutions, including Resolutions 1695 and 1718 in 2006, Resolution 1874 in 2009, and Resolutions 2087 and 2094 in 2013. However, these resolutions failed to deter North Korea from conducting its fourth nuclear test in January and launching another long-range missile in February in 2016. Given that North Korea never gave up its nuclear weapons program, it was evident to the international community—including the Security Council—that a much stronger resolution was needed to curb North Korea’s nuclear ambitions. This was the rationale behind the unanimous adoption of Security Council Resolution 2270 in March 2016, which was widely acknowledged as containing the most robust and comprehensive non-military sanctions measures in the history of the United Nations. In line with the said resolution, the Security Council is currently negotiating to adopt on additional sanctions resolution in response to North Korea’s fifth nuclear test conducted on September 9th, 2016. The North has an unmatched track record of notoreity. The list of infamy is long: it is the only country to have conducted nuclear tests in this century in violation of UN Security Council resolutions and international norms; it is the first country to develop nuclear weapons within the NPT regime and to announce its withdrawal from both the IAEA and the NPT; it is the only country to have officially declared itself as a “nuclear-armed state” in its constitution; and it is the world’s most dangerous country, posing an existential threat to South Korea and the United States. In short, North Korea is a serial offender of breaches of international law and international norms, including numerous UN Security Council resolutions and even the UN Charter itself. When it comes to Iran, the international community is currently implementing the terms of the Joint Comprehensive Plan of Action (JCPoA). The Iranian nuclear deal is a good example of diplomatic negotiations that made headway with sharply increased pressure. Likewise, sanctions per se are not an end, but rather a means to solve a problem peacefully. Therefore, in order to denuclearize North Korea, a sequential “two-track” approach—dialogue following sanctions in succession—is important. In order to pursue this approach, the international community should work together to strictly impose tough sanctions against North Korea until its leadership changes its calculus on nuclear development as a predicate of the regime’s survival. Since North Korea has continuously provoked South Korea and the international community with nuclear tests and missile launches—including Submarine-Launched Ballistic Missiles and the resumption of nuclear reprocessing this year—the increasing uncertainty surrounding the Korean Peninsula has required certain defensive measures. South Korea’s recent decision to deploy the U.S. Army’s Terminal High Altitude Area Defense (THAAD) system was a measure taken in the exercise of the right to self-defense: it is intended to protect the people of South Korea from North Korean threats. The Chinese government has expressed its opposition to the THAAD deployment, insisting that its security ramifications reach far beyond the Korean Peninsula. The Korean government has tried to dispel China’s concerns through bilateral talks. Likewise, North Korea’s continued nuclear development and numerous missile launches have undermined regional stability and are impacting negatively on regional prospects for peace and cooperation. While the nuclear threat in East Asia is a security issue aggravated by one pariah state, territorial disputes are at the center of the contentions in which many East Asian countries are enmeshed. Constrained by nationalism and historical grievances, East Asian countries cannot find easy diplomatic solutions to the chronic territorial disputes in the region. The PCA’s recent ruling on the South China Sea, and China’s opposition to it, only reinforce this point. China and some ASEAN countries have engaged in disputes with respect to contested sovereignty over offshore islands, overlapping claims to the Exclusive Economic Zone, and resource development. The maritime disputes in the region have frequently ignited diplomatic contention, resulted in the capture of fishing boats by patrolling navy ships, and even occasional exchanges of fire between battleships. The dispute between China and the Philippines was part of this contention in the South China Sea. In February 2012, a Philippine Navy frigate spotted and inspected Chinese fishing vessels in the waters of the Scarborough Shoal. China also dispatched its navy vessels and took control of the disputed region, thereby escalating tensions. The Philippines initiated an arbitration case against China in January 2013 under Annex 7 of the UN Convention on the Law of the Sea (UNCLOS). However, the Chinese government reiterated that the PCA did not have jurisdiction over the case, since it made a Declaration in 2006 on optional exceptions in Article 298 of UNCLOS. Despite China’s resistance, the PCA confirmed its jurisdiction by publishing the Award on Jurisdiction and Admissibility for the case. After a month of hearings, the Court issued its ruling on July 12th, 2016, which widely accepted the Philippines’ claims on the main legal issues at stake. Of particular significance were rulings that: (1) invalidate China’s claim to a “historic title” to the waters within its “nine-dash line”; (2) confirm the legal status of features in the South China Sea—whether disputed features belong to a particular island or rock; and (3) found that China was engaged in unlawful behavior by building artificial islands in the Spratlys. The Chinese government immediately rebuked the Court’s verdict and confirmed its commitment to the protection of China’s sovereignty over the disputed islands. Beijing even demonstrated its resolve to reinforce its sovereignty claim through military operations. However, there are also some positive signals for a diplomatic solution. Some literature on territorial claims shows that the principles of international law provide a point for dispute-settlement in bilateral and multilateral negotiations. Consistent with the Declaration on the Conduct agreed between China and ASEAN countries, they have continuously tried to resolve the issue through dialogue and negotiations. In those negotiations, China and other disputants—Vietnam, Taiwan, the Philippines, Malaysia, and Brunei—invoked the mode of territorial acquisition, which is the legal standard adopted by international courts. In that regard, China and other disputants are more sensitive to widely accepted international legal norms. Likewise, the good news in the troubled waters of the South China Sea is that all concerned states wish in principle to defuse tensions and still want to give the recourse to diplomacy a chance to work. China’s declaration of territorial claims over the Spratly Islands in 1988 resulted in a direct naval conflict with Vietnam, causing heavy casualties. In contrast to that incident, the recent pattern of negotiations among disputants demonstrates a transition from military measures to diplomatic negotiations. Despite deepening economic and cultural interdependence, East Asian countries have yet to overcome the underlying antagonism that has arisen from security contentions. As described above, North Korea’s continued nuclear tests and provocations, and the recent dynamics in the South China Sea, add up to the trust deficit in the region, or the Asian Paradox. If these challenges are left unaddressed, the lack of trust will eventually lead to a deepening of the traditional security dilemma. The South Korean government, conscious of the vulnerability of regional security, has proposed the establishment of the Northeast Asia Peace and Cooperation Initiative (NAPCI). It aims to solidify the practice of multilateral cooperation primarily in non-traditional soft security issues, which will then spill over into traditional security issues. The NAPCI takes a flexible, step-by-step approach, and seeks cooperation in areas relatively amenable to cooperation at a pace with which participating countries feel comfortable. The NAPCI has garnered support from leaders throughout the region. To help implement the NAPCI, the South Korean government launched the Northeast Asia Peace and Cooperation Forum in 2014, with the participation of representatives from the region. They discussed soft security issues, such as nuclear safety, energy security, cyberspace, and the environment. Following the inaugural forum, the second gathering of the Forum was convened in Seoul in October 2015, and the third one will be held in Washington D.C. in October 2016. As one of the main stakeholders in the region, South Korea is striving to play a facilitating role in building trust and addressing the Asian Paradox through the NAPCI. It will contribute to the establishment of a cooperative dialogue mechanism, similar to European security cooperation mechanisms. South Korea intends to transplant experiences from the European framework to Northeast Asia—specifically from the OSCE. In order to learn from the OSCE, South Korea hosted the OSCE-Asian Conference in 2015. At the conference, South Korea and OSCE participating states shared their vision and best practices on issues such as counter-terrorism, disaster risk reduction, cyber security, and exploring the feasibility of the NAPCI. Cooperation through regional security platforms has also become an important aspect of the bilateral relationship between South Korea and Serbia, where Horizons is published. As Serbia assumed the Chairmanship-in-office of OSCE in 2015, the two countries were able to expand the horizon of their bilateral relations by adding a new channel of cooperation. The experience of regional cooperation through the OSCE under the Serbian Chairmanship will help South Korea make headway with the NAPCI. This, in turn, can help deepen friendly bilateral ties between the two countries. There is an old Korean proverb that says, “an observer reads the movement of a chess game better than a player does.” South Korea and Serbia, located far away from each other on different continents, can learn from one another by sharing their experiences from both regions. In a similar way, South Korea’s middle-power diplomacy in the world might also carry significant implications for Serbia. For example, South Korea, as a constructive middle-power country, has been hosting numerous international meetings, such as the Nuclear Suppliers Group (NSG) and the Missile Technology Control Regime (MTCR) in 2016. The dialogue between South Korea and Western Balkan states, including Serbia, can contribute to the promotion of security and prosperity in both regions through the sharing of experiences, contacts, and exchanges. Throughout world history, some middle-power countries have exercised a unique institutional ability to create an environment for addressing disputes peacefully. Although middle powers’ material capabilities may not be sufficient, their intellectual resources and diplomatic skills have contributed to building confidence and cooperation among neighboring countries. For instance, Finland’s active role in the Helsinki Process, the Netherlands’ hosting of many international courts, and Brussels’ hosting of EU headquarters are illustrious cases of middle-power diplomacy. Deepening the South Korea-Serbia bilateral relationship will lead the two countries to develop further as middle powers with great strength.